"Here in this tiny suburban Roman Catholic church . 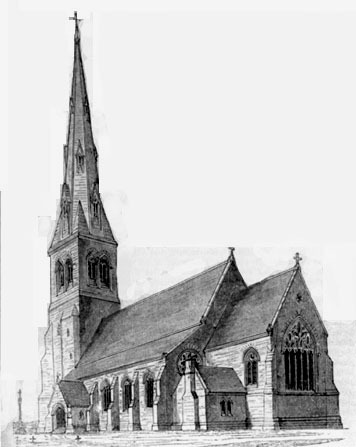 . . Pugin first established a new model, almost a new building type, quite discontinuous with Georgian church architecture." -- Henry Russell Hitchcock, quoted by Stanton, p. 23.